The German company behind Matridur® and Matridex® have now launched a new range of non-animal hyaluronic acid based fillers under the brand name CRM®, which relates to their Covalent Reticulated Copolymer Matrix technology. This has now been available in the UK since March 2008. As a result, you may only come across a few practitioners using this product currently. CRM® technology uses a cross-linking agent called Butanedioldiglycidylether (BDDE), one of the least toxic of the cross-linking agents, which it is claimed increases the resistance of the gel to degradation. The manufacturers also note that CRM® Technology produces a gel of a greater purity which virtually eliminates immune reactions, making it safer for patients and it is retained longer in the tissue for a longer-lasting result. Plus positively charged dextranomeres within two products (see product range details below for more information). Hyaluronic acid - by bacterial fermentation from streptococci bacteria. Dextranomeres or dextran molecules break down into sugars within 2 years. 17mg/ml of hyaluronic acid and 25mg/ml of dextranomeres used for treating deep wrinkles and folds such as glabellar (frown), nasolabial (nose-to-mouth) and marionette (mouth-to-chin) lines, as well as lip augmentation. 1 x 1ml syringes with a 27 gauge needle. 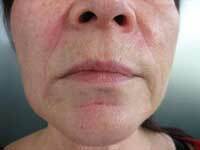 17mg/ml of hyaluronic acid and 50mg/ml of dextranomeres targeted at volume replacement for tissue augmentation of the cheek or facial contours. As well as the hyaluronic acid base, both crm-DEX and crm-DX, designed for volume replacement, deep folds and facial contouring also contain dextranomeres (dextran molecules) at 25 and 50 mgs respectively. These are positively charged microspheres that aim to stimulate the tissue to produce new collagen and help the regeneration of the tissue in the area treated. 4mg/ml of pure hyaluronic acid and 16mg/ml of cross-linked hyaluronic acid used for medium to deep wrinkles and folds, plus lip augmentation. 1 x 1ml syringes with a 29 gauge needle. 14mg/ml of cross-linked hyaluronic acid designed to treat superficial lines and wrinkles such as those around the eyes and mouth. 1 x 1ml syringes with a 30 gauge needle. 14mg/ml of hyaluronic acid aimed at biorejuvenation or skin rehydration of the face, neck, décolletage and backs of the hands using a mesotherapy technique. According to the manufacturers hyaluronic acid only products (crm-GEL, crm-DUR and crm-SOFT) are expected to last between 4 to 9 months depending on the area treated and the specific product used. The two other products, crm-DX and crm-DEX which contain dextranomeres are said to last 12 -18 months. 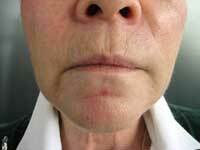 Transient erythema (redness), swelling, pain, itching, discolouration or tenderness at the implant site. 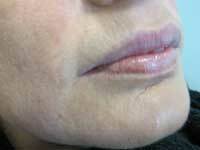 Typically resolution is spontaneous, within one or two days after injection into the skin, and within a week after injection into the lips. Any persistent reaction must be reported to your practitioner. Localised reactions thought to be of a hypersensitivity nature have been reported. 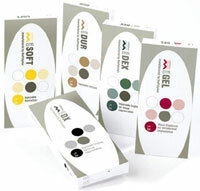 This depends on area treated, the particular product or products used from within the CRM® range to achieve the desired result, and how much is required, as well as the practitioner doing the treatment, but price ranges are in the region of £325 - £375 per treatment of crm-DEX, £350 - £400 for crm-DX, £225 - £275 for crm-GEL, £200 - £250 For crm-DUR and £100 - £150 for crm-SOFT. Click for ALL CRM ® clinics in the UK & Ireland registered and verified by Consulting Room.